In most individuals I have worked with the root cause of knee pain is excessive loading due to being overweight or obese. Therefore, if you are experiencing knee pain the chances are your knees are carrying too much weight and this will continue and or possibly get worse until a reduction in your weight occurs. 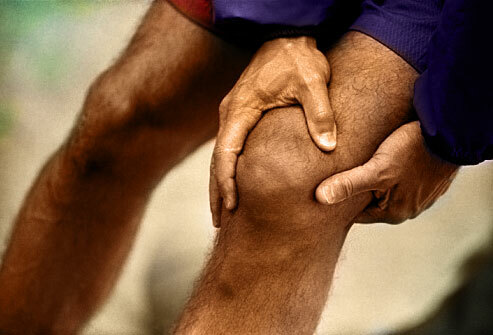 The secret to minimizing / preventing knee pain is to minimize the loading on the knees during exercise. For example, if running is what sets off your knee pain then switch your cardiovascular training to the bike. In the event the bike still causes pain switch up to swimming which will completely relieve your knees of any loading during cardiovascular training sessions. In the event it is resistance exercises that cause you knee pain such as squats, or lunges the key here will be to eliminate and replace these exercises completely until all knee pain is gone. For example, if squats cause you knee pain replace the exercises with one that will not cause knee loading such as leg extensions to minimize the loading of the knee. In the event your knees are sore for an extended period of time (over a week) I would highly advise you to seek medical treatment. X-Rays and MRI machines can assist in detecting the root cause of your knee pain. In the meanwhile as you wait to be diagnosed minimize loading of the knee and continue to exercise providing it does not agitate your knees further and never forget that exercise is there to assist in strengthening your body and not cause you excessive knee pain.